Starts, strokes and turns - for a lung-busting two and a half hours, Xu Jiayu repeats these drills with unwavering intensity and concentration. And all this following a two-hour gym session earlier in the day. The unglamorous monotony of striving to be a world champion was painfully evident as the 24-year-old Xu pushed his limits at the Chinese national team's recent winter camp in Kunming, Yunnan province. True to form, though, Xu was keeping his spirits up. "Hard indeed, but I enjoy the hardships," said the 100-meter backstroke world champion. Situated in the middle of the Yunnan-Guizhou Plateau, the city of Kunming sits at an altitude of over 1,800 meters above sea level. 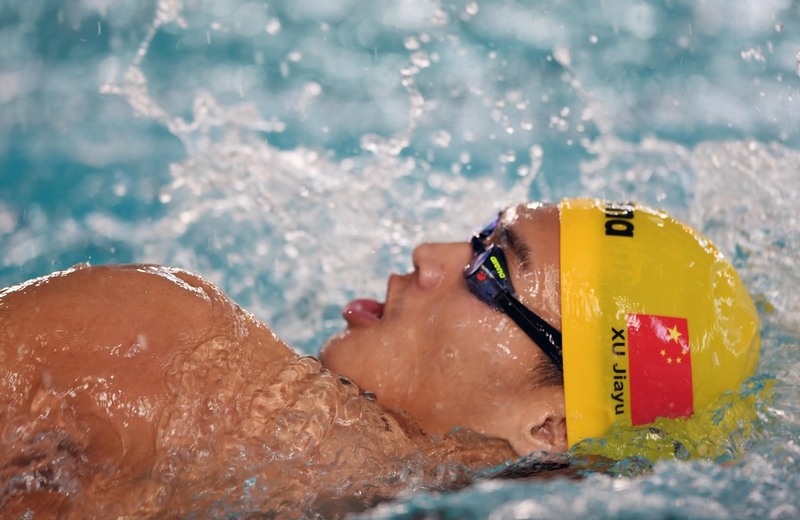 There, Xu and his teammates are preparing for the 2019 World Aquatics Championships, which will be held in Gwanju, South Korea, and the 2020 Tokyo Olympics. "Training at high altitudes helps us be better prepared physically," explained Xu, who shot to fame at the 2016 Rio Olympics, where he won silver in the 100 backstroke. The following year, he became the first Chinese man to win a backstroke world title, in Budapest. Last month, Xu lost to old rival American Ryan Murphy in the 100 back at the short-course worlds in Hangzhou, touching in 49.26 to agonizingly miss out on gold by 0.03 second. "It's really a pity that I didn't bag the title last year as the championships were held in my own country. People had high expectations of me and I also put too much pressure on myself," he said. "However, winning and losing are all quite normal for us. We are all fighting to be champion, and competing against top swimmers makes me stronger." Retaining his world title this year in South Korea is top of Xu's priority list right now, although conversely he is trying not to think about it too much. "It's more important to focus on the daily training," he said. Conquering not only Murphy but also his own nerves will be key to his gold-medal hopes. Pool ace hoping perseverance pays as he resumes glory bid for China.